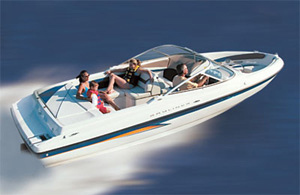 Bayliner 195: An Entry-level runabout never looked so good. 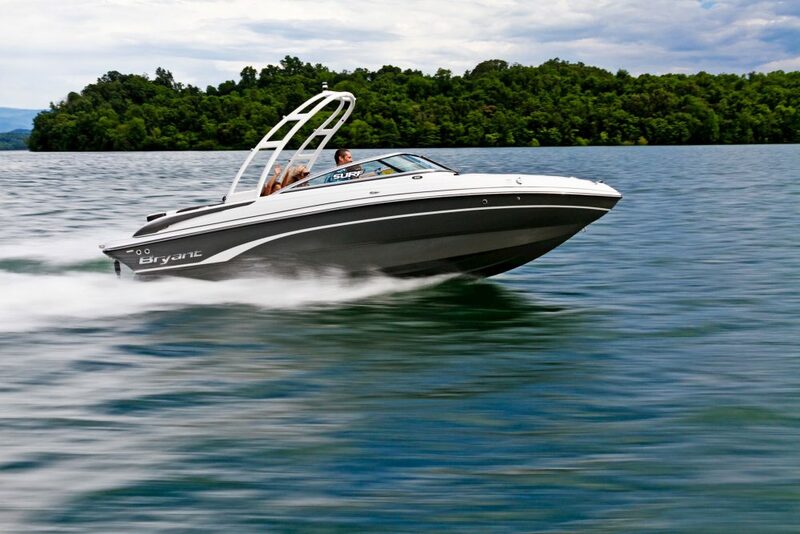 On the water, the 195 is built to please with ample storage and noteworthy performance. The big news from Bayliner this year is a brand-new entry-level craft for those looking for a safe and convenient entry into boating. 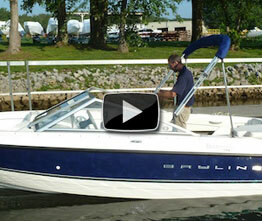 Everything about the Bayliner 195 seems to focus on drawing in a first-timer. With a price that starts at about $19,200, it's definitely an affordable contender, especially for a stern drive — and the price includes the trailer. Its small size of 19 feet in length and a somewhat narrow 7 feet, 11 inches in beam means less boat to handle, which will be a relief for those doing their first dance with docking. 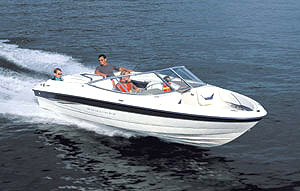 Its small size also means this boat will fit in an average garage, which is helped by a trailer with a foldaway tongue. It's light weight of 2,650 pounds means most light SUVs or light trucks will have no problem with towing. Add to that Bayliner's reputation as one of the nation's largest builders and sellers of runabouts and you've got a pretty tempting turnkey solution for the first-timer who wants to hit the water with minimal complication. 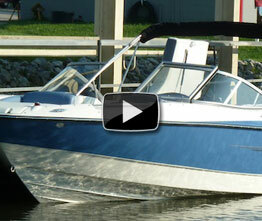 On the water, the 195 is built to please with ample storage and noteworthy performance. Add in the option to up the horsepower to as much as 260 and you end up with an entry-level runabout with move-up appeal. The 195 takes advantage of a clever use of space for maximum comfort and storage potential. In fact, it has a lot of interior features we are more accustomed to seeing on larger boats. The principal way 195 makes space is by the use of a cockpit forward design, which moves the helm and windshield forward to lengthen the cockpit. While this does cramp the bow seating area slightly, there's still enough room for two adults to stretch their legs all the way out on the port and starboard chaise lounges. 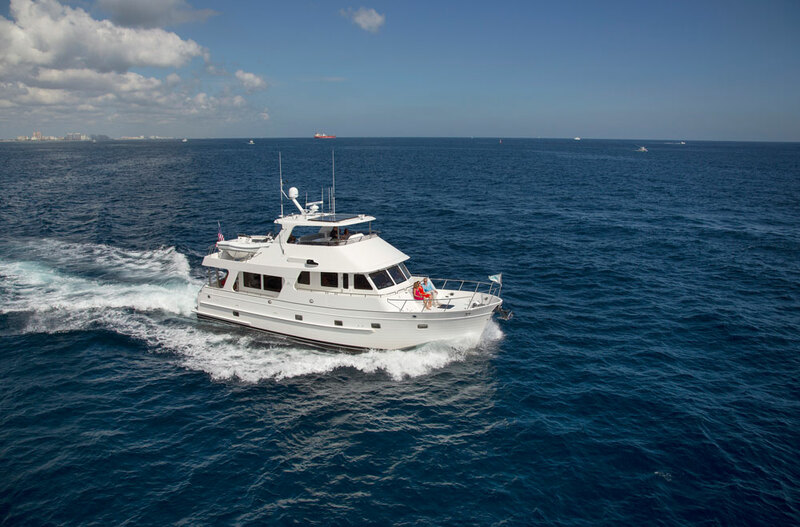 The bow also features dedicated anchor storage with an anchor hold-down and room for anchor chain and dock lines — something you wouldn't typically expect on a boat this size. There's also dry storage under all the bow seats for PFDs and other gear. The carpeted deck starts in the bow and continues through the walk-through windshield into the cockpit area. The helm to port houses a good-size lockable glove compartment with an AM/FM CD stereo — there's more storage to the side beneath the gunwale. To starboard is the driver's helm, which rests all the typical gauges in a stylish brushed metal housing. Both the port and starboard dash pods are integrated into the deck, which ensures solid, rattle-free function for years to come. Between the dash pods is the centerpiece of storage, an oversized ski locker. 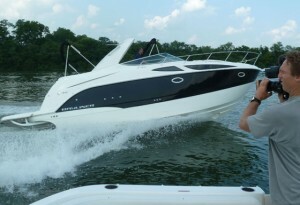 It provides plenty of room for wakeboards, water skis, tubs, more PFDs and even wetsuits. The seats to port and starboard are space saving-back-to-back single bench seats, which makes dedicated space for the driver and three passengers. There's room for two more passengers in forward-facing transom jump seats built on each side of the engine compartment. For added comfort, the jump seats raise to create a full beam sunpad across the transom, and the port center seat folds out to create another lounger. Aft of the sunpad is an integrated swim platform with a telescoping three-rung ladder that folds into the deck under its own cover for clean stowage. The swim platform itself is more like something between a full-size platform and smaller swim step that is popular on smaller boats — so we give Bayliner full marks for stretching this one out as much as possible. One necessary note, however, is that this is not a traditional swim platform that stretches all the way over the outdrive. You and your passengers will want to be sure to keep knees and elbows from bumping the drive while boarding and swimming around the stern. Our test took place on calm and windless Ft. Loudon Lake, Tennessee, which is near Bayliner's new corporate headquarters in Knoxville. 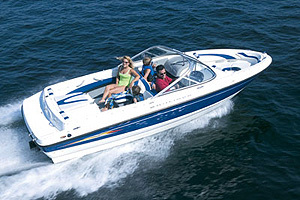 Our test engine was a carbureted 220 hp 5.0L MerCruiser Alpha I. We were loaded with two adults and a full tank of fuel (35 gallons). We quickly posted a top speed of 53.3 mph at 4,600 rpm, which is within this engine's 4,400 to 4,800 rpm wide-open-throttle operating range. With Ft. Loudon Lake's elevation of 813 feet above sea level at normal pool, you could probably expect an ever-so-slightly better top end down by the ocean. Acceleration wise, we posted a respectable 0 to 30 mph time of 9 seconds and an impressive time to plane of 4 seconds, hinting that this would be an admirable tow boat for watersports. We did experience momentary loss of visibility coming onto plane due to bow rise, but not enough to be annoying. The craft performed well in the corners, and it only took a few extra bumps of the throttle in the really tight turns to power all the way through. The standard power-assisted rack-and-pinion steering was responsive and we didn't notice any slop in the wheel. Its punchy attitude and nimble handling left us with the impression that this would be a great little boat for family watersports. We couldn't find any chop to see how the 195 braved the rough water, but its deep-V hull and a decent load on top should keep things comfortable at a cruising speed of about 35 mph. We basically judged this craft on how appealing it would be to a first-time buyer. Before it even hits the water, it has a lot going for it in terms of price, size, weight and reputation. On the water, we found its intelligent use of space for passengers and gear to be more than enough for a typical weekend warrior boater. Performance wise, the 195 has plenty of top end and some noticeable appeal for family watersports, regardless of whether it's wakeboards, water skis or tubers. There are similar sized runabouts from builders that cater to a higher-end buyer with boats that are a little more refined in terms of attention to detail and quality, but they come at a premium price and are more targeted toward experienced boaters who want a top-shelf small boat. The 195 allows you to have virtually the same experience at a lower price, and thanks to Bayliner's reputation for solid boats that last, you can feel good about fetching a decent trade-in dollar when it's time to go bigger. Editor's note:To subscribe to Go Boating magazine and find additional boat and gear reviews, visit Go Boating magazine online.